There’s just one month to go until tickets for Notts Outlaws’ 2019 T20 Vitality Blast campaign go on sale. Head Coach Peter Moores hopes the Club’s followers can recreate last summer’s terrific support, which resulted in record-breaking crowds. 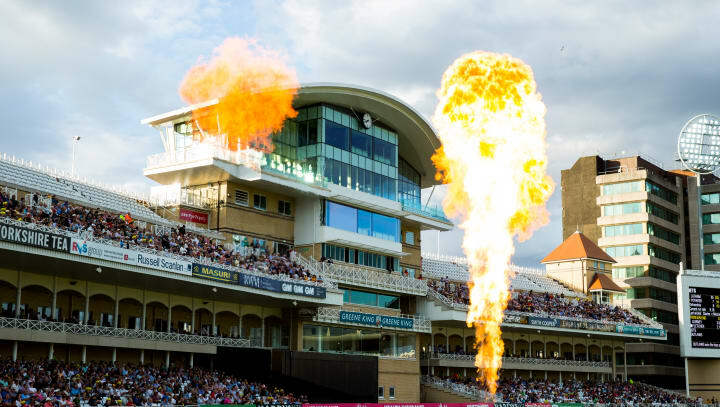 Nottinghamshire CCC Members are already guaranteed entry to all seven Trent Bridge fixtures in this year’s competition, which starts with a showdown against reigning champions, Worcestershire Rapids on Thursday 18 July. Six days later, the theme of recent champions continues as the Outlaws entertain 2016 premiers, the Northamptonshire Steelbacks - followed by a local derby with three-time winners, the Leicestershire Foxes, on Saturday 27 July. Trent Bridge then becomes a firm fixture for Friday nights with matches against Birmingham Bears, Derbyshire Falcons and Durham Jets all perfectly scheduled a fortnight apart. The match against Yorkshire Vikings on Sunday 25 August will, meanwhile, be preceded in a double-header by Loughborough Lightning versus Lancashire Thunder in the women’s Kia Super League. Notts were backed by an average attendance of 11,377 during the 2018 campaign; an all-time high for the venue. “We know the Outlaws supporters will bring their A-game throughout the tournament,” said Peter Moores. “We can always count on our home crowd to give us a lift. The atmospheres we get are right up there with international cricket. “Having the supporters cheer us home in some tight finishes in recent years – that’s where we’ve made some really great memories. We’ve certainly got ambition to make more in 2019. “The Friday nights always feel like really big occasions that the players look forward to - and it’s great to see families getting behind the team and enjoying cricket in the sunshine at the weekends. You can view the full list of fixtures by clicking here, or print your A4 fixture list here. Can’t wait until March 4 to get a ticket in your hand? Join the Outlaws family as a Member….